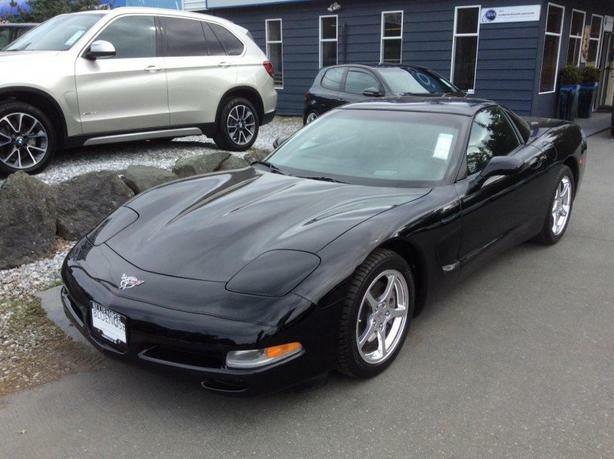 CAR AND DRIVER WROTE IN 2003: "THE MOST MAGNETIC CORVETTE EVER", THIS LOCAL, ONE OWNER, ACCIDENT FREE SUPER NICE CORVETTE 50TH-ANNIVERSARY SPECIAL EDITION IS NOW AVAILABLE AT THE BLUENOSE MOTOR COMPANY. POWERED BY A 5.7 LITER V8 PRODUCING 350 HP, MATED TO A SIX SPEED MANUAL TRANSMISSION. JUST SERVICED, INSPECTED AND PROFESSIONAL DETAILED. ALL TRADES ACCEPTED.